Georgia Avenue Movie Night Coming on July 23rd! 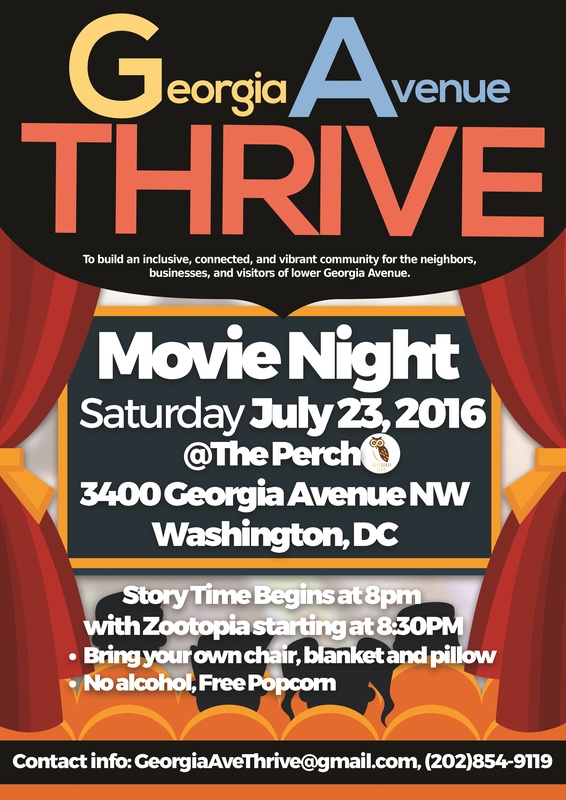 | Park View, D.C.
Georgia Avenue Movie Night Coming on July 23rd! The Georgia Avenue Thrive group is organizing a movie night for Saturday, July 23rd, at 3400 Georgia Avenue — this is the parking lot of the old Murray’s grocery store. The movie will be Zootopia and it will be preceding by a story time. This entry was posted on July 12, 2016 at 7:01 am and is filed under Community Involvement, Sports leisure and entertainment. You can subscribe via RSS 2.0 feed to this post's comments. This is cool! They’re playing Zootopia! I wish I was here.